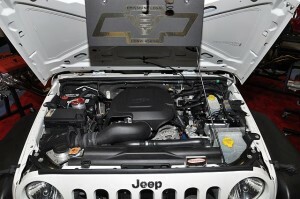 Oceanside CA: Turn Key Engine Supply recently introduced a vibrant, new conversion for Jeep Wranglers, JK models 2007 to ’11. 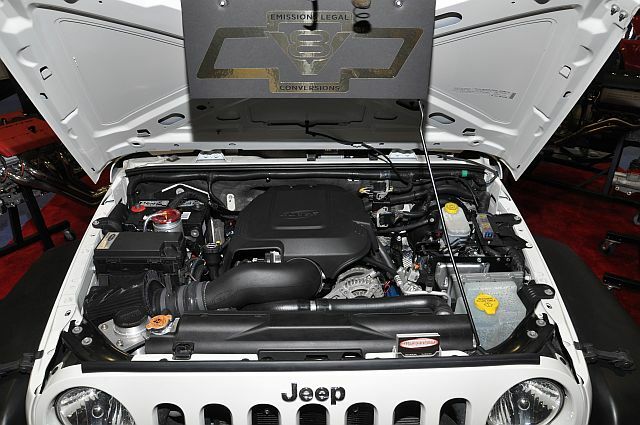 Switching from the original lackluster V6 202hp engine to a General Motors’ LS Gen 4 unit with attendant 6L80E six-speed transmission has introduced nearly twice the power and torque to the popular Jeep Wrangler. 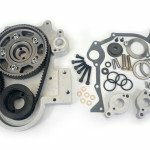 Provided in Builder Kits or in a finished, ready-to-run condition, the adaptation also dramatically improves the Wrangler’s driveability. 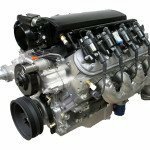 Two engine variations of GM’s Gen 4 V8 are offered: 5.3 liter (330hp) or the 6.2 (440hp). 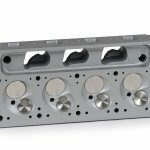 Both aluminum engines feature variable valve timing and active fuel management. 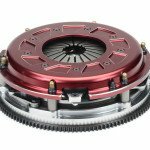 In addition, the kits include an aluminum heavy-duty two-row cooling system, exhaust system with OEM catalytic converters and engine accessories, comprising alternator, air conditioning, and power steering. Of particular interest, Turn Key ensures the shifter, which is provided with cruise control and tap shift, remains stock in appearance as do all of the Jeep instruments. Even more reassuringly, the conversions comply with the emission requirements of 50 states, including California. In fact California customers receive the CA BAR emissions certificate when Turn Key’s conversion is completed in-house. 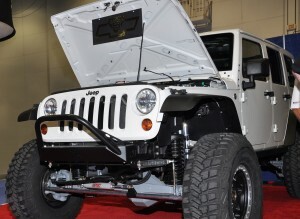 Clearly with over 600,000 Jeep Wranglers in production these vehicles are popular. However, some owners contend they suffer from a chronic lack of power, and it looked like it might remain this way. 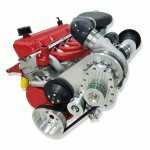 But fate decreed otherwise when Kolby Enger’s Turn Key Engine Supply firm took the initiative and launched their conversion kits during last year’s SEMA show in Las Vegas. Predictably, their enterprise was rewarded with much interest and orders stemming from the show continue to flow. 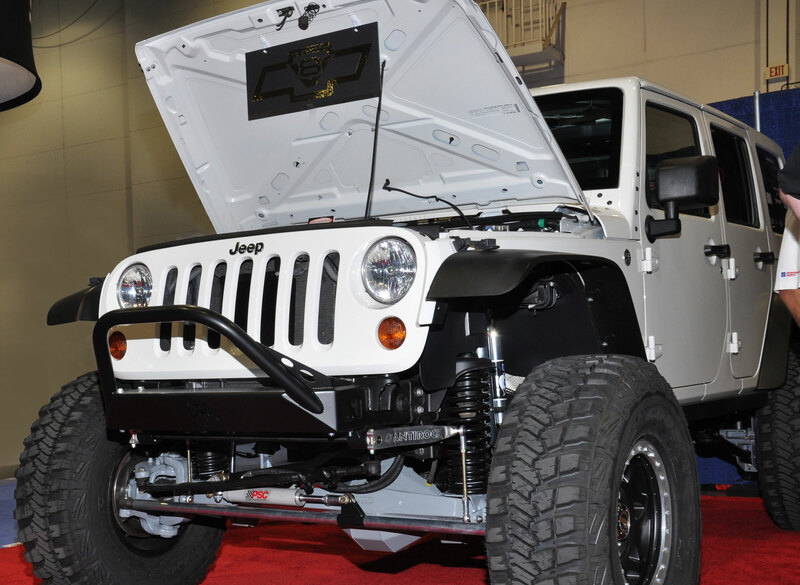 With 1997- ’06 Wrangler TJ & LJ models already in production and now JK 2007 to ‘11, Turn Key is currently preparing packages for 2012 and ’13 JK models.